GM plans to close an Opel plant in Antwerp (shown) to reduce overcapacity. FRANKFURT (Bloomberg) -- General Motors Co.'s money-losing Opel division will shut its factory in Antwerp, Belgium, by the end of this year after failing to find a buyer. Luc van Grinsven, a union representative at the plant, said a Chinese automaker and an American investor had expressed interest in buying the factory. About 1,300 people still work at the Antwerp plant, which makes the Opel Astra model, after half the workforce was eliminated earlier this year. Opel said as recently as last month that the plant would close at the end of the year unless an investor made an acceptable bid by Sept. 30. Opel lost additional market share in Germany last month. The brand's new registrations fell 19 percent, compared to an 18 percent drop overall, according to figures released today from the country's Federal Motor Vehicle Office. Opel's share of its home market through the first nine months of the year slipped 1.2 percentage points to 7.8 percent, as sales tumbled 37 percent compared to the market's 28 percent decline. The closure of the plant marks the first shutdown of a European auto factory since 2006. While 18 assembly factories have been shuttered in the U.S. since 2008, European governments prevented the region's biggest automakers from firing workers and used subsidies to prop up sales. The last European plants to close was in 2006, when GM shut its site in Azambuja, Portugal, and PSA/Peugeot-Citroen folded its Ryton plant in Coventry, England. 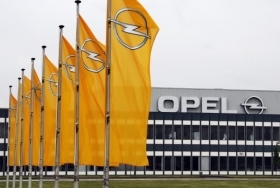 “During this wind down period, while the active search of an investor for continuing activities has ended, we will remain open to discuss any reasonable proposals that might be presented to us,” Opel said. Even as it's closing the Antwerp plant, GM has promised to invest 11 billion euros ($15 billion) in its Opel and Vauxhall divisions to improve the model line-up and win back customers. Opel said last month it will build a new small car at the German plant in Eisenach from 2013. The carmaker also is ramping up component and engine production at the Kaiserslautern factory and said it will invest 500 million euros into making engines at its site in Hungary.